November 11 is designated as Singles Day. If you thought Black Friday and Cyber Monday were the greatest shopping days on the planet, think again. In China, they have Singles Day, and it tops either of the U.S. shopping sprees by a long shot. 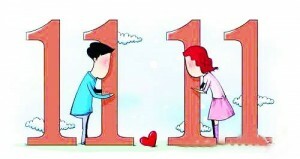 Novemeber 11 – written as 11/11 is officially Singles Day. This year sales have already hit the $9 billion dollar mark in sales from Alibaba, which puts it’s growth from 2013 at over $3 billion. Singles Day has now become the most profitable shopping holiday of the year. Over 43% of the sales came from mobile purchases. In 2009, Alibaba founder Jack Ma chose Nov. 11 for the big day – 11-11 to celebrate being single. Kind of the opposite of Valentine’s day. Last year, Singles Day sales racked up $5.7 billion in sales on Alibaba’s shopping platforms, counted in U.S. dollars. Pre-orders for this big shopping day have been placed since mid-October. Even though only 25% of Chinese citizens shop online, this event could become bigger in the coming years. It is predicted that within 5 years, this will become a global holiday. On Monday, Alibaba stock was given an outperform rating by Oppenheimer. Stock prices have reflected the recent news. The number of sellers has jumped from about 10,000 last year to more than 27,000 this year. Two merchants that are new on the Tmall website (owned by Alibaba) are Costco and Telsa Motors. 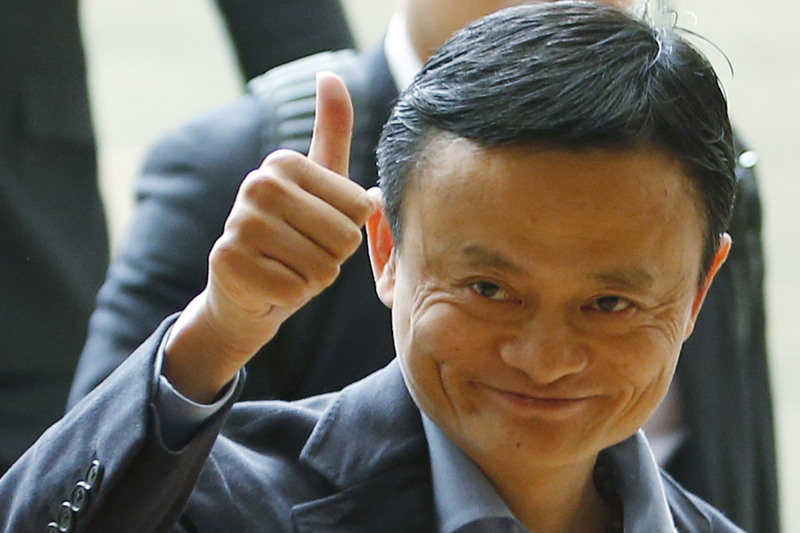 So what does Jack Ma, owner of Alibaba worry about these days? Besides being the richest man in China, he worries that all the packages ordered on Singles Day – a staggering 260 million plus – will be delivered on time. The introduction of Alibaba to the American stock market opened the door to the mega company’s cooperative agreements with other nations such as France, Italy, Germany and others. Providing a platform to market products made all over the world has changed the retail landscape forever. With the largest global IPO in history, this company has topped analysts expectations and is currently our favorite company to follow. Valentine’s Day! You Gotta Love It! Every year, the February 14 love fest sets off a frenzy of rose-buying that is unparalleled throughout the rest of the year. Most of the time, a rose is a rose is a rose, but on Valentine’s Day, it’s the classic way to make your sentiments known, being the international symbol of passion and love. Men are most inclined to put out their shekels for roses, mostly red, to tell the women of their dreams that they care. Sixty-six percent of them believe that ladies prefer red roses. In fact, according to ProFlowers, 76 percent of women would make another choice. Predictably, however, they will go into ecstasies when the red roses show up. Go figure. Regardless of this classic mismatch in the statistics, a mostly-male customer pool will order millions of roses this year, at a cost of $70 to $120 or more per two-dozen bunch. And, being men, the great majority will wait until three days before Valentine’s to put in their orders. They are the ultimate procrastinators, sellers know. Fortunately, ProFlowers expects the last-minute rush. Its customer service people can take more than 100,000 calls per day, and in short order, more than 14 million roses, mostly in bunches of two dozen, will be on their way to the women who inspired the choice. That represents some 20 percent of Pro-Flowers’ annual business. Although women want to be cherished every day of the year, the majority of them look forward to Valentine’s Day as the one on which declarations of love are expected and cherished. Julia Roberts, starring in the film “Valentine’s Day, has posted notice in advance that it will be a great day for herself and husband Danny Moder. “We’re just going to be making out for the full 24 hours,” she predicted. Don’t forget about ordering your love checks not only for Valentine’s Day, but all year round!